The New York Times recently published a report on “The Death of the Sick Day,” which illustrated the number of people who elect to work from home when they are not feeling well enough to go into the office or even those recovering from a serious medical condition. And this trend is not just for your average Joe. In the article, the Times cited the example of Supreme Court Justice Ruth Bader Ginsburg, who continued to participate in court business from home while recuperating from cancer surgery. In Florida, the simple answer to this question is “no,” albeit with an important caveat. Nothing in Florida state requires private businesses to give employees paid sick leave. However, the caveat is that the Family and Medical Leave Act (FMLA) does create certain limited rights to unpaid sick leave. Under the FMLA, an eligible employee can take up to 12 weeks of unpaid leave during a 12-month period if they need time off to deal with a “serious health condition” or care for an ill family member or new child. Again, while FMLA leave is unpaid, the employee’s job and benefits are protected during any time off. Similarly, an employer may, under certain circumstances, “run” an employee’s unused or accrued PTO or sick leave during the time the employee is out on FMLA, so that they are actually getting paid while on leave through their PTO or sick leave benefits they have with the company. 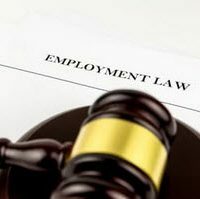 Additionally, and separate from the FMLA, the Americans with Disabilities Act as Amended is a federal law which does require an employer to engage in an interactive process to determine if it can accommodate an employee for an accommodation request. For example, an employee may seek to have time off to be able to see a doctor or work from home. If the employee is working, they must be paid. Whether they get paid time off to see a doctor may depend on whether they employee is compensated as an hourly or salaried (non-exempt or exempt) employee. But it is also worth noting that while Florida law does not require private employers to give paid sick leave, many state and public employees do have such rights. For example, Florida public school teachers have the right to take a certain amount of paid leave days to deal with a sickness or illness. In general, newly hired teachers start with 4 sick leave days and accrue 1 additional day for each month they are employed–and this time is cumulative from year-to-year. What If Florida Employers Choose to Offer Sick Leave? Although Florida businesses do not have to grant paid sick leave, many choose to offer it as a benefit for competitive reasons. In some cases, an employer’s promise of paid sick days may be legally binding. In certain circumstances, accrued sick leave may be considered a “wage,” which must be paid out upon separation. All Florida businesses should periodically review their employee handbooks and similar documents to ensure they are not promising more than the employer can deliver. It is always important to be precise when establishing a sick leave policy. Among other things, the policy should clearly address whether sick leave is “accrued” and any unused days can be sold back to the company for a payout once the employee leaves (a “use it or lose it policy”). If you have additional questions or concerns about sick leave policies, you should contact a qualified Florida employment law attorney today.